Technical Bulletin | a Log of Technical Events and Changes | Fenestra Ltd.
For the latest tech news, head over to our News page. This page is more a log of technical events and changes to our application development environment and to the website structure. We support a fairly significant legacy FoxPro database system and we have been undertaking the renewal and refreshment of the setup, without significantly changing the core system itself (which is a helpdesk with considerable bespoke extensions). The issues that had accumulated over time centred on caching, fragmentation and competition for system resources in a virtualised server environment. 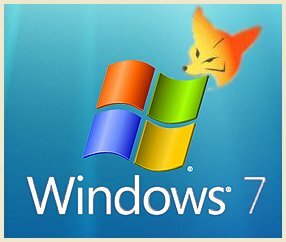 The development environment and its configuration control have been upgraded to a Windows 7 system. At the same time, data in the core system has been filtered and selectively archived to support changed legal requirements for the retrieval and mining of old data while at the same time simplifying the archive and retrieval process. Future bug fixes and additional features can now be added much more easily. Yes, we have heard the wise words that if you write your website honestly, you won't need to indulge in any SEO Black Arts. And foolish, we came some way to believing what was said... However, changes, apparently brought in by Google's coterie of children's picture book animals - principally pandas and penguins - dispelled this quaint and trusting thought from our minds. Our major sin was using certain words too often. So we have had to do a copyrighting job to adapt many pages so that they use language in the approved way. In most places, you won't notice the difference. Sometimes, though, the approved language can seem a little stilted and less natural than the original. You can now make a comment about any of our guides or articles - head over here to make your opinion heard. The Technical Guides section now contains an introduction to virtualisation for small businesses and organisations. Big update to tablet page! The Comparison Table has been redone and now just shows the latest, hottest tablets. The old page is still available if you are interested in older models. We have added a set of pages describing how to implement version control for Dreamweaver CS5 using Subversion, in a Windows environment. We have added an introduction to the possibility of virtualising a desktop to a tablet PC..
We have added another step-by-step illustrated guide; this one shows how to reinstate client machine logins on a virtualised Windows server. An updated review of Operating System options to celebrate the formal release of Android 2.3 - Gingerbread. We have added another step-by-step illustrated guide; this one shows how to convert a physical machine to a VMware virtual machine. We have prepared a comprehensive step-by-step guide on the process of backing up a virtual machine using VMware.